What does it take to become a successful blogger? Well, the first step is believing that you can do it! You need to be excited about your blogging dreams. Decide, right here and right now, that you can and will succeed. Now, with all that said, the next step is to “start blogging” already. 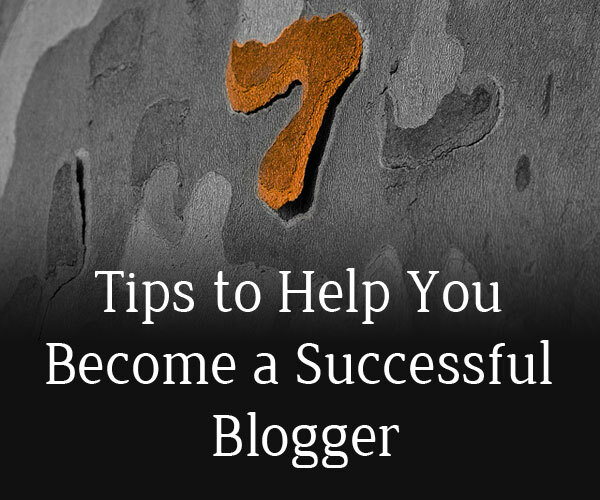 And, to help you become a successful blogger, here are seven tips for your blogging success. A successful blogger is one who’s committed to blogging. When it comes to your business blog, you need to look at it as if it’s your actual brick-and-mortar storefront. Just as mom-and-pop business owners put hours of time into their companies everyday, you need to do the same with your blog. Try to commit to blogging for at least 4 hours per day, if possible. Every professional in every industry needs coaching. Don’t believe me. Just ask Lebron James or Tiger Woods. The same rings true for bloggers. Coaches can help you improve your blogging skills by revealing any blind spots you may have. Some people hire blogging coaches. Others simply learn from other savvy, successful bloggers within their own niches. This approach is free, yet priceless. When it comes to publishing blog posts, quantity and quality can go hand-in-hand. Many beginner bloggers concentrate too much on quantity. They’re so eager to get more content published, that they end up with 300-word posts, with no real “meat” in them. Instead, concentrate on both quality and quantity at the same time. Try to publish 600 to 900 to 1,200 word posts, full of valuable information. Search engines and your readers will value these posts much more than short ones with nothing important to say. If you come across a blog related to your industry that you truly love, check to see if they allow guest posts. They do? Then, take advantage of the opportunity to promote your blogging skills, as well as your blog. Guest posts allow you to link to your own blog. Readers who like what you have to say will visit your blog as well. Now, you’ve just increased your blog’s readership by posting relevant, useful content on the blog of another successful blogger. So, you want to make money online? Well, that’s understandable. But, if you want to be a successful blogger, your goals must be much bigger than that. Why? Because you’ll spend too much time watching the numbers, and less time publishing quality content. And, if the numbers don’t increase at the pace you want, you’ll simply give up on blogging. If you just continue publishing quality content, your blog will help to increase your sales over time. But, for your blog to successfully help you make money, you must also practice some SEO techniques. Using keywords that your target audience is also using in searches, gets more traffic to your site. That means using SEO keywords on webpages, within content and within your Adsense ads. That’s how you reach your target audience. There are so many things that bloggers tend to worry about. Whether it’s generating more leads, getting readers to leave comments, getting more “likes” and “tweets” or simply making money online, it can still cause you stress. If you start to feel some tension or find yourself experiencing “writer’s block”, stop immediately. Now, take a deep breath, stretch and calm down. Your creative juices can’t flow properly if you’re worried about anything other than writing quality content. This article was written by Chad Goulde for The Blog Builders. Want to become a successful blogger? Visit TheBlogBuilders.com for blogging tips to help you start your blog the right way today. I definitely agree with #7 – and I don’t do it enough! Although, I disagree with the length of posts. You can say something quite moving in just a few hundred words and it can spread across the world in a matter of days. It’s all about post quality. Hey Michael, I can honestly say I don’t do any of these enough or as much as I would like. On the length of posts, it’s just a guideline, and I agree it really is about post quality. Remember though, Google considers anything more than 500 words to be high quality and that is something to consider if you’re running adsense or looking to get search engine traffic. Great post Larry. Excellent points you’ve made worth the try! Quality is also critical. Thank you Yvonne and you have a great day as well! Nice list. What I actually learned from this post is the number 1 tip. Commitment to your craft as a writer and blogger is so hard especially because there’s a lot of things that needs to be done. After all, you have a life after blogging. But then again, making it big and successful in the blogging world needs commitment. Thanks, Larry. I’ve shared and “Kingged” your awesome content.